1. This Gift Voucher is valid in dine-in restaurants in India. 2. This Gift Voucher cannot be exchanged for cash. 3. Gift Voucher should be surrendered to the crew before ordering. 4. This Gift Voucher is not valid without an authorized signature. 5. 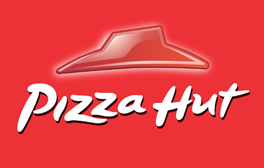 Pizza hut will not be responsible for the loss or damage of this voucher!